When I saw this weeks challenge at Inspired by Stamping I remembered a DSP that looked similar to the pattern on the tub in the inspiration picture. I can’t remember what it was called (possibly Bella Rose?) but I got it when I joined Stampin’ Up! over 3 years ago and haven’t used it until now. See Christine, hoarding is a good thing – if I didn’t hoard I wouldn’t have this DSP for this challenge! 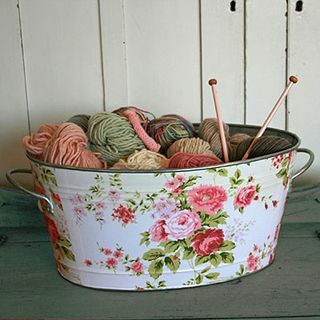 Here’s the inspiration pic from Inspired by Stamping – can you see the similarity between the tub and my DSP? And I’ve also combined this with the sketch challenge at Stamping 411. 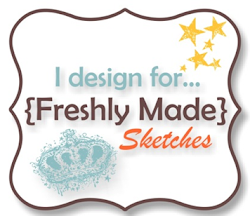 Don’t you love a sketch challenge? – most of the work is already done for me! Narelle- your card today is lovely. Your play of rolled roses interspersed with buttons is quite clever and unexpected which makes this card truly unique. I have been an admirer of work for several months now. Lucky me to have found your website. 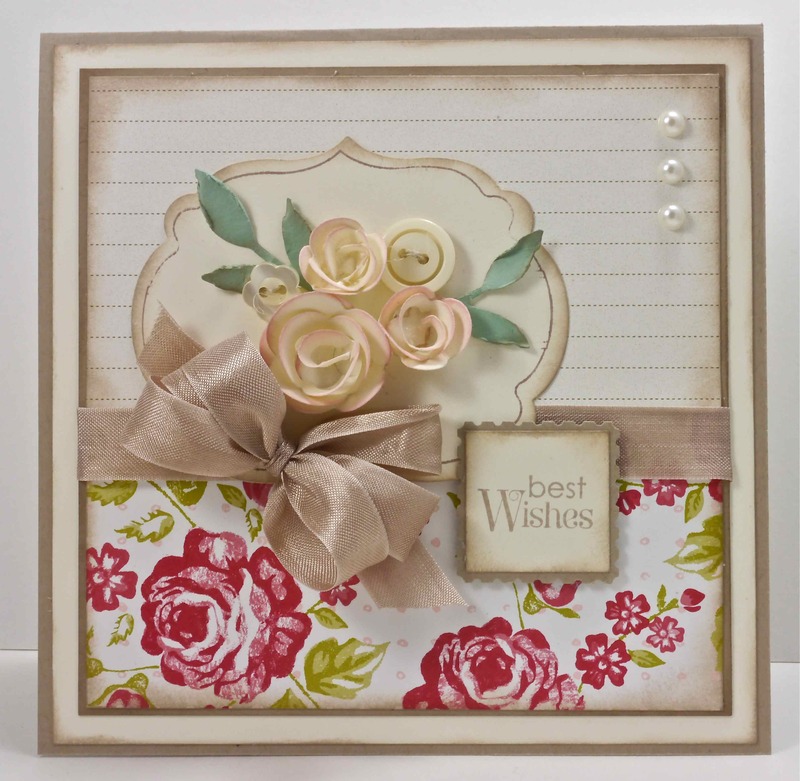 Gorgeous card Narelle,so pretty and love how you have come up with paper for this challenge. This is so pretty! love the roses and buttons. 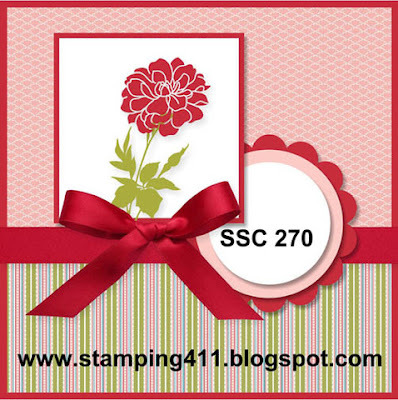 thanks for joining us at Stamping 411! Thanks for playing with us at IBSIC this week! This is totally gorgeous!! I love those awesome flowers!